Plaintiff Ben Lopez sued defendant United Parcel Service, Inc. (“UPS”) contending that UPS improperly classified him as an employee exempt from overtime compensation under California law. Id. *1. Plaintiff held five full-time supervisor positions at UPS between March 2001 and June 2008: Hub Supervisor, Preload Supervisor, On-Road Supervisor, Training and Retention Supervisor, and On-Job Supervisor. Id. A jury trial was held with respect to the first four positions in April 2010: the jury found that plaintiff was properly classified as exempt in the Hub Supervisor, Preload Supervisor, and Training and Retention Supervisor positions, and that although UPS did not meet its burden of proving that plaintiff was properly classified as exempt in the On-Road Supervisor, plaintiff had failed to prove that he worked any overtime hours or missed any meal breaks during his tenure in this position. Id. Due to statute of limitations issues, plaintiff’s claim with respect to the On-Job Supervisor position was brought under California’s Unfair Competition Law (“UCL”), Cal. Bus & Prof. Code § 17200 et seq., rather than under California wage and hour law. Id. (citing Murphy v. Kenneth Cole Prods., 155 P.3d 284, 289 (Cal. 2007) (statutory wage claims are subject to a three-year statute of limitations; penalty claims are subject to a one-year statute); Cal. Bus. & Prof. Code § 17208 (UCL claims subject to four-year statute)). After trial of the UCL claim to the court, the court concluded that UPS met its burden of proving that plaintiff was properly classified as falling within the administrative exemption in his On-Job Supervisor position, and thus ruled in favor of UPS on plaintiff’s UCL claim. Plaintiff was employed by UPS as an On-Job Supervisor (“OJS”), which was a special assignment related to UPS’s implementation of a new Preload Assist System intended to improve UPS’s business operations by standardizing its package sorting and delivery operations. A key component of the Preload Assist System, and the one in which plaintiff participated, was to improve efficiency and safety in package delivery routes. Plaintiff’s primary role as an OJS was related to studying, observing, and further refining the proposed new delivery routes. His tasks included studying maps of package delivery routes, riding with delivery drivers to observe the routes in practice, and reporting back to the OJS team, which included other persons in plaintiff’s position, managers, and engineers. Plaintiff was not supervised by a manager during his rides with drivers and did most of his preparation independently. 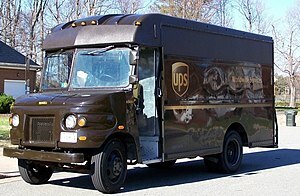 Plaintiff could not recall ever driving a package car or delivering packages during his ride-alongs with drivers. Plaintiff did not physically assist delivery drivers in driving delivery vehicles, loading and unloading packages, or making deliveries. Rather, his responsibilities were to observe drivers, gather data, and analyze delivery routes. The court rejected Plaintiff’s argument that riding as a passenger in a delivery van, making written notations, and entering information into a PDA constitutes manual work. Plaintiff’s work as an OJS involved management tasks such as supervision, evaluation, and policy development, rather than production tasks such as actually loading or delivering packages. Plaintiff was regularly called upon to assess and evaluate proposed delivery routes, observe the routes in practice, and suggest modifications based on his observations and experience. He performed this work without immediate supervision from his managers; and some of his recommendations for route improvements were accepted by his managers. The Court was not persuaded by plaintiff’s argument that he was merely applying set “standards” since plaintiff’s job duties called for the frequent exercise of discretion and judgment, not the mere rote application of standards. The court further reasoned that to the extent plaintiff was responsible for ensuring that subordinate employees (e.g., drivers) complied with UPS standards, that responsibility does not take him outside the scope of the exemption. Id. *4 (citing Donovan v. Burger King Corp., 672 F.2d 221, 226 (1st Cir. 1982) (“Ensuring that company policies are carried out constitutes the very essence of supervisory work.”)). The Court found that the OJS position involved the performance of special assignments and tasks under only general supervision since the majority of plaintiff’s OJS work was carried out independently and the position was by definition a special assignment created to aid UPS in developing its improved Preload Assist System.